When we begin to see the visible signs of aging, such as a gaunt, drawn face or the beginning of the formation of jowls, we may feel that the time has come to find a solution to restore some of the youthfulness and vitality we once had, and improve our tired, sagging, weathered appearance. The gold standard procedure in these cases, is most likely a traditional Face Lift. Many patients are unwillingly or unready to consider having a surgery, due to the pain, lengthy recovery period, and finality of the results. Moreover, many people may be open to a surgical face lift at some point in the future, but they don’t feel that they have reached the age at which this option would be reasonable. For patients interested in restoring youthful contours to their face, there is a non-invasive approach known as a Non-Surgical Face Lift, or Liquid Face Lift, in which a combination of Botox® and dermal fillers are strategically placed to revitalize and rejuvenate their appearance, reduce wrinkles, and increase fullness. Rather than commit to an irreversible procedure that requires a significant amount of downtime, many people are opting for a Non-Surgical Face Lift, also known as a Soft Lift, as it a safe and effective treatment option. It requires minimal pain and recovery time, and eliminates the risks associated with general anaesthesia. Since the patient is awake during the procedure, they can give feedback during the procedure, which will enable them to achieve the desired outcome. A Non-Surgical Face Lift is also significantly less expensive than a traditional Face Lift, which is a key consideration for most patients. A variety of injectable products are used to reduce the appearance of wrinkles and fine lines, restore fullness and youthful contours to the face, and improve the texture of the skin. The actual products used is customized for each patient to address their specific issues and help them meet their aesthetic goals. Botox® will always be used for a Non-Surgical Facelift as it highly effective at smoothing out areas of the skin that are prone to wrinkles due to the movement of muscles: the forehead, the area between the brows, the sides of the eyes, above the mouth, and the chin. Expert application of Botox® to these areas will lead to a dramatic reduction in frown lines, forehead lines, crow’s feet, smoker’s lines, and orange peel chin, respectively. Botox® has many other uses which include lifting the eyebrows, raising the corners of the mouth to eliminate a depressed look, and narrowing the shape of the lower face to create a more attractive, youthful appearance. Dermal fillers also make up a large component of Non-Surgical Facelifts, as they are used to restore youthful fullness, and lift sunken regions of the face. Since an aged appearance is largely a result of volume loss in the mid-face, a dermal filler such as Juvederm® Voluma can be added to the cheekbone area, thereby helping to lift jowls and smooth out nasolabial folds. This essentially helps to recreate the “Triangle of Beauty” that is present in youthful faces, meaning that most of the volume in the face is concentrated at the cheekbones, and the face tapers off as you move downward, into a soft oval or heart-shape. With age, because of the loss of fat, bone mass, and facial muscles, the supporting structure of the skin is eroded, leaving the skin to droop and accumulate around the jaw line. In the process, deep lines and folds are created, and the focus of the face moves down from the eyes to the lower face. In addition to restoring youthful contours to the cheeks and improving the shape of the face, Juvederm® products are also used to fill in lines and folds around the face as required, such as the area around the mouth and the sunken area at the temples, both of which get depleted with age. Who’s An Ideal Candidate for a Non-Surgical Face Lift? This non-invasive procedure is ideal for anyone who feels that their appearance has started to decline rapidly, and that focusing on one area at a time is no longer adequate. They may feel that their face is drooping to a greater extent than it used to, and they may constantly feel exhausted and run down. A Soft Lift is the perfect solution for anyone who doesn’t feel ready to commit to a traditional Facelift procedure, due to the associated risks, extended downtime, or for anyone who would never pursue a surgical intervention to improve their appearance. Once the signs of aging begin to appear, many people start looking for a way to halt the aging process and restore some of the youthful facial characteristics they have lost. While some individuals decide to undergo a traditional, surgical Facelift, others choose a less invasive solution: The Non-Surgical Facelift. Some of the most common signs of aging include an emaciated, sunken-in looking face with jowl development on both sides of the chin. Unfortunately, once these facial characteristics begin to develop, the individual tends to look tired and worn all the time. What Causes The Changes In The Face As We Age? During the aging process, we lose fat, muscle and bone mass in the face: All of which serve as its support structure. As these supports erode, the skin begins drooping and accumulates around the jaw line. This erosion process causes the formation of deep folds and lines, which transfers the focal point from the eyes to the lower portion of the face. However, our Expert Injectors can address this loss of support and volume. By injecting a dermal filler into the cheekbone area, the jowls are lifted and nasolabial folds are smoothed; thus, re-creating the “Triangle of Beauty” that is naturally seen in youthful faces. Full cheekbones with a gradual tapering off of fullness as one moves down the face, eventually ending with a soft heart-shaped or oval chin. A Non-Surgical Facelift is also referred to as a ‘Soft Lift’ or a ‘Liquid Facelift.’ A Soft Lift is ideal for individuals who want to recapture their youthful facial characteristics without undergoing a surgical procedure. During a Non-Surgical Facelift, our Expert Injectors use a combination of dermal fillers and onabotulinum toxin A (i.e., Botox®) to rejuvenate an individual’s appearance. By injecting onabotulinum toxin A and dermal fillers into targeted areas of the face, our Anti-Aging Specialists are able to add volume to areas that appear hollow as well as address visible lines and wrinkles. create a voluminous, youthful-looking chin. Our experienced Anti-Aging Specialists know how to strategically inject dermal fillers and Botox® so as to provide the patient with the youthful-looking results he or she desires. After a Soft Lift at Skinjectables, within just a few hours, patients enjoy their new, natural-looking, revitalized appearance. The facial rejuvenation products we use at Skinjectables Cosmetic Clinic in Toronto are approved for use by the U.S. Federal Drug Administration (FDA) as well as by Health Canada. Many people choose to have a Soft Lift as opposed to a traditional Facelift because a Liquid Facelift can provide an individual with nearly identical results: A Non-Surgical procedure that offers very similar results, without the pain and significant amount of downtime as required following a surgical Facelift make a Soft Lift an extremely desirable option. In addition, some people choose a Liquid Facelift over the traditional procedure because of concerns related to the need for anesthetic during the surgical session. With a Soft Lift, these concerns are eliminated because a Non-Surgical Facelift does not require that the patient be anesthetized. Furthermore, since the patient remains awake during the procedure, he or she can provide feedback to the Anti-Aging Specialist throughout the injection session. Additionally, a Soft Lift is less expensive than a surgical Facelift. If the results achieved with a traditional Facelift are less than optimal, the patient has no recourse because these surgical procedures are irreversible; whereas, a non-surgical Facelift is temporary and any results attained with Hyaluronic-Acid (HA) based dermal fillers can be reversed, immediately. How Long Do The Results Of A Liquid Facelift Last? The results attained using Botox® will last from 3 to 4 months; therefore, if the patient is not happy with these results, they will subside within that time frame; however, the results achieved with the dermal fillers last from 6 months to 2 years. If the patient is unhappy with the results achieved with the dermal fillers, these results can be reversed. Certain aspects of a Soft Lift can be reversed immediately. For example, if an individual does not like the results obtained using a Hyaluronic-Acid based dermal filler, the enzyme Hyaluronidase can be injected into the areas treated with this dermal filler: Hyaluronidase speeds up the natural breakdown of HA; thus, diminishing the results. Over time, patients who continue receiving Botox® injections will experience longer-lasting results: For this reason, it is best for patients to receive their Liquid Facelifts from an experienced Anti-Aging Expert Injector. Once our Anti-Aging Expert becomes familiar with an individual’s facial features and desires, consistent results can be achieved. By returning to Skinjectables for their non-surgical facial rejuvenation procedures, patients will enjoy similar, longer-lasting results each time they have a treatment with Botox® and/or dermal fillers. The combination of Botox® and dermal fillers during one injection session allows us to provide our patients with a revitalized, balanced and natural-looking appearance. the fine lines around the lips. Besides addressing the issues listed above, our Expert Injectors can use Juvéderm® products to fill in the sunken areas that develop at the temples as we age. For example, the lines on the forehead and around the eyes are relaxed using Botox®; whereas, a dermal filler is used to smooth smile lines and contour the patient’s jaw. Since each patient is unique, so is each Non-Surgical Facelift that is performed by the Expert Injectors at Skinjectables. While we always use Botox® during a Soft Lift, the kind of dermal filler used depends on the specific needs of the patient. While performing a Liquid Facelift, Botox® is used to effectively smooth the areas of the face that wrinkle due to repeated muscle movements. These areas include the sides of the eyes (i.e., crow’s feet), the chin (i.e., orange-peel chin), the fine lines above the mouth (i.e., smoker’s lines), forehead lines, frown lines and the lines that form in between the eyebrows. 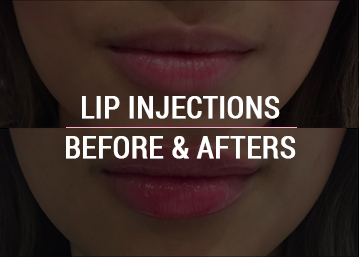 In addition, Botox® can be used to raise the corners of the mouth, lift the eyebrows and narrow the lower face: Narrowing of the lower face provides the patient with a more youthful appearance. Our Anti-Aging Specialists use their experience to determine which dermal fillers will help a patient meet his or her specific aesthetic goals. This Hyaluronic-Acid based dermal filler is used to restore facial volume in areas like the cheekbones, chin and cheeks. This HA-based filler is used to treat the finer lines that appear as we age, including smile lines, crow’s feet and the superficial lines that develop on the forehead. These Hyaluronic-Acid based dermal fillers are perfect for treating moderate to severe wrinkles and creases. Anyone who notices the early signs of aging and does not want to undergo a surgical procedure to regain their youthful appearance is a good candidate for a Non-Surgical Soft Lift at Skinjectables. In addition, individuals who notice that their face seems sunken in due to a loss of volume around the mouth, beneath the eyes and in the cheeks, as well as individuals experiencing lax skin at the jawline are good candidates for a Non-Surgical Facelift at Skinjectables Cosmetic Clinic in Toronto. During the initial assessment, one of our Anti-Aging Specialists will determine if a Liquid Facelift will provide you with the results you desire. Please be candid about what you would like to accomplish with a Non-Surgical Facelift. In addition, do not hesitate to ask questions related to the Soft Lift procedure. Please be prepared to discuss your medical history, including any medications and/or herbal supplements that you are currently taking, as well as information related to allergies and, if applicable, previous cosmetic procedures. Once all the information is gathered and your facial assessment is complete, our Anti-Aging Expert Injector will discuss your options with you. 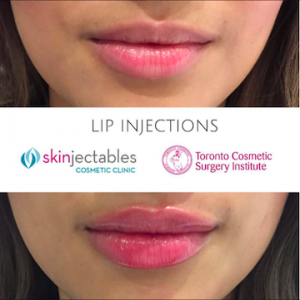 If you are a good candidate for a Soft Lift, the procedure may be performed immediately or another appointment will be made for your Soft Lift procedure at Skinjectables in Toronto. Following your Liquid Facelift, you will enjoy almost immediate results with minimal discomfort. If you are not a good candidate for a Soft Lift, our Anti-Aging Specialist may discuss some of the other facial rejuvenation options available at Skinjectables. Our Anti-Aging Specialist will carefully select the areas of the patient’s face that will benefit from a treatment with a dermal filler or Botox®. A Liquid Facelift can take from 15 minutes to an hour to complete. The length of time depends on the number of injections the patient requires to meet his or her goal. Usually, a Non-Surgical Facelift has minimal side effects, all of which subside within a few days or a couple of weeks. Two of the most common side effects include minor bruising and/or inflammation. Although patient experiences vary, most of our patients enjoy a more youthful-looking appearance almost immediately. While these instant results are amazing, over the next few weeks, the results attained during the Soft Lift will continue to develop, providing the patient with the rejuvenated and refreshed appearance he or she desires. These results can be maintained with Liquid Facelifts that are scheduled at regular intervals. If you are interested in learning more about the non-surgical facial rejuvenation procedures available at Skinjectables Cosmetic Clinic in Toronto, Canada, contact us today at (416) 546-5200. The entire staff at Skinjectables is dedicated to helping patients reach their aesthetic goals. Aging is inevitable; however, looking your age is not. Skinjectables Cosmetic Clinic is located at 100 Front Street West, Level D, in Toronto, Canada. Please keep in mind that in order to access Level D you must use the East Elevators.